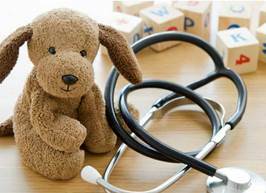 Search our online database for a pediatric test. Read about ARUP's Pediatric Reference Range Study. Read more about pediatrics and pediatric testing at ARUP. Find additional resources related to pediatrics at ARUP. Why do so many children’s hospitals in the United States use ARUP as their reference laboratory? Small Patients. Pediatric patients are unique and require special attention, not only in the first few days of life but throughout childhood and adolescence. ARUP Laboratories is committed to providing quality care for pediatric patients and offers one of the most extensive reference laboratory test menus available today. Big Challenges. Approximately one-tenth of ARUP’s testing is performed on specimens collected from patients between the ages of newborn to 18 years. Small specimen volumes can pose a challenge for the clinical laboratory. ARUP lists minimum volume requirements for many common pediatric tests in its Laboratory Test Directory; these volume requirements have been established with the constraints of pediatric sample volume in mind. Why Establish Pediatric Reference Intervals?